It’s true, Bridget — when I think of cat trees, I think of depressing beige wall-to-wall carpet wrapped around poles and stapled into place. Cat lovers are finding or creating trees with much more style and creativity, though; some are even turning to their architects and builders to come up with some really fun custom solutions. Here are ready-made solutions in a range of styles. 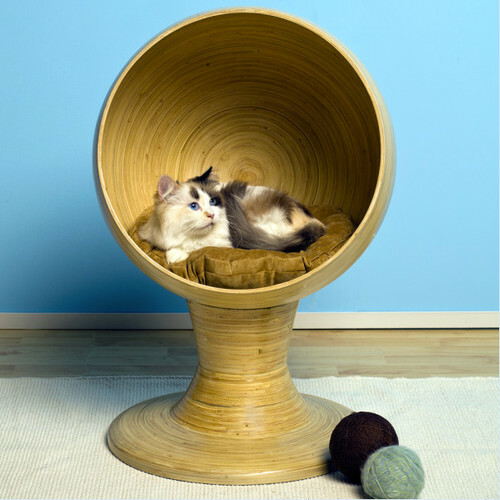 This stylish cat perch combines the lines of an Eero Aarnio Bubble Chair with today’s popular renewable resource, bamboo. 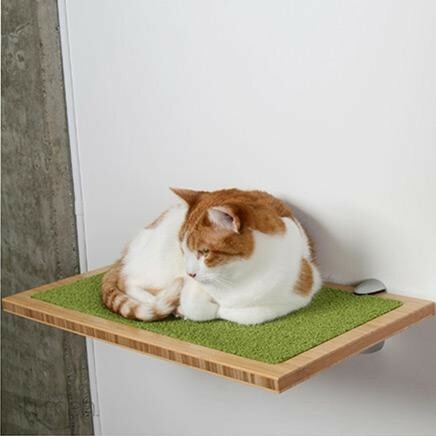 A cat perch needn’t take up room on the floor. 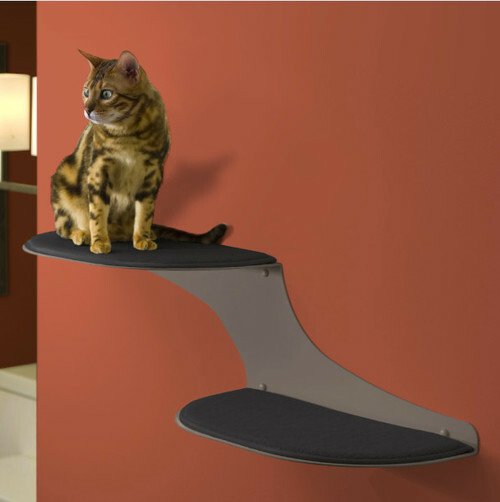 Wall-mounted cat shelves can give kitty the same climbing and perching fun. This one even has an extra closed-box shelf for your books, plants and collectibles. Sometimes kitty just wants her own spot for leaping, perching and napping without all the bells and whistles of condo rooms, swinging ropes and all the rest. This simple shelf meets all of her needs without uglying up your room. This curved perch is a place where Mr. Cat can get his Zen on, and the clean lines and not-shaggy carpeting won’t offend his guardian’s design sensibilities. 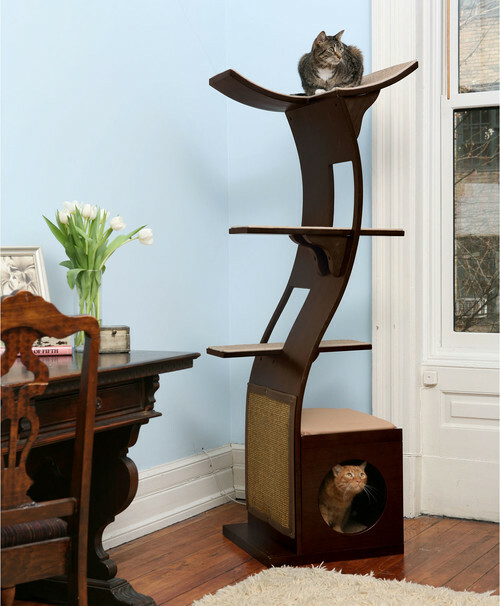 Get in a playroom state of mind when choosing a cat tree. While I wouldn’t want this tropical flower in my living room, it could really add some fun style to a kids’ playroom or bedroom. 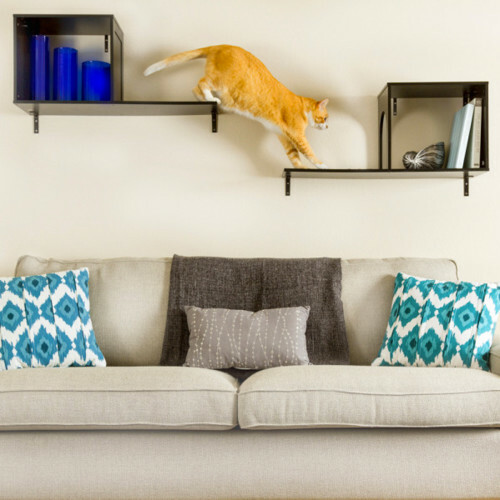 This titanium wall-mounted set of cat shelves is sleek and sturdy. 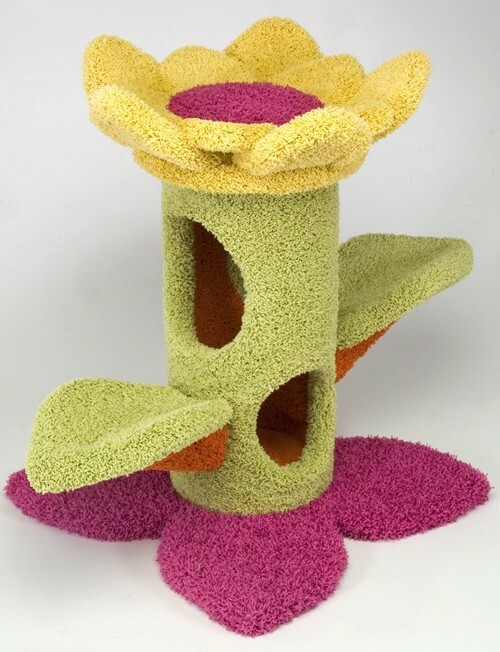 You could buy several and create a cat climbing wall. This article is part of a collaboration between Pets Best pet health insurance and Houzz. We’ve teamed up to provide you this series of articles focused on pets and homes. Enjoy!